Congress has set a new record. With a big ole’ kick in the keister from every Senate Republican and one Democrat – Ben Nelson of Nebraska – congress failed to pass an unemployment extension bill at at the highest unemployment rate in history. Senator Tester, for his own part, had proposed to cut $25 per week from benefits to save $6 billion per year. All while nearly 10% of this nation – and certain states are higher than that – are having trouble putting food on their tables. Unemployment benefits expired nearly a month ago. By the time congress gets back to work, two million U.S. workers will be without benefits. Every economist recognizes that this will drive the economy into further dearth. This is a congress that managed to preserve a tax loophole that benefits wealthy money managers at private equity firms and other investment partnerships. They also derailed an effort to end widespread tax avoidance by owners of small businesses organized as S-corporations. So here’s a proposal for congress, and here’s a proposal I pray that just one of our delegation will bring forward. Maybe Tester should be the one, considering he was the one who proposed cutting $25 from unemployed Montanan’s supper tables. So here it is: Let’s have one of you bring forward a proposal – you deficit hawks you – to cut your own pay. Let’s start with 3%…see if that pays for unemployed benefits for the 2 million without unemployment. If that doesn’t work, how about 5%? Will that will hurt you? With 10% of Americans unemployed. With 54% underemployed? 7.2% of Montanans are unemployed. Representative Rehberg? The House is on the floor right now looking for solutions. How about you actually do something useful (after spending all that $ over the last 10 years) and give a hand-up to 7.2% of Montanans and 10% of Americans? Kidding aside, maybe you dig a little deeper jgirl. 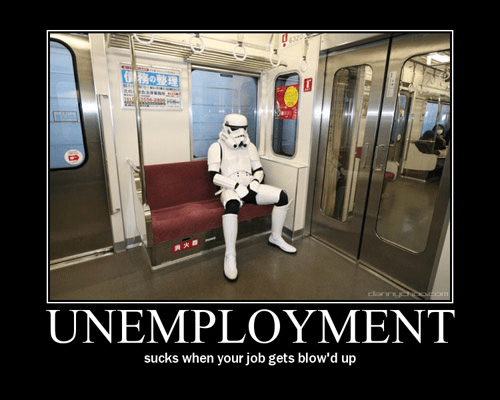 ***The Senate failed once again late Wednesday to advance a plan to restore jobless benefits for people out of work more than six months, leaving millions of unemployed workers in limbo until after the July 4 recess. The measure fell one vote shy of the 60 needed to end a Republican filibuster. Sen. George V. Voinovich (R-Ohio) said he was prepared to provide that vote, but that Democrats had rejected his request to pay for at least half of the $34 billion measure with unspent funds from last year’s stimulus package. Looks like they kicked “the ball” on first down. Voinovich is the one exhibiting gamesmanship here, BS. It doesn’t matter where the money for the extension comes from, as to its effect on the deficit. Unspent TARP money will eventually find its way back to the black side of the fed balance sheet, where it can offset the red ink of the unemployment benefits. Voinobitch is just trying to find a way to make a political point, and derail the measure. If he really cared about extending benefits, he would have voted for the measure. The effect of spending the money is the same, whether it comes from TARP money or not. 34 billion is a little over 3% of the total stimulus. Of course the stimulus has been sooooooo successful at creating jobs we wouldn’t want to jeopardize new hires over people struggling without jobs. 95% of all Americans are also paying less in taxes because of the stimulus bill, too, Big Swede. That was soooooo successful too – but I suppose you’d want to see more tax cuts, too, right? I don’t believe cutting unemployment to nearly 3 million people is going to help. Do you? I’m pretty sure I agree with the experts – cutting those benefits will hurt the economy. Seriously – let’s hear a productive suggestion here from 4&20’s resident conservative. Whatta ya got? Massive tax hikes are coming Jan 1st. Increases that will make up for any savings we’re experiencing now. As far as the effects of extending employments benefits and their impact I’m going to defer to Speaker Nancy. She so smart she could be posting here. I think you are missing my point, Big Swede – you conservative types cry for tax cuts all the time as a way to stimulate the economy. Large tax cuts were part of the package…tax cuts for 95% of Americans. It doesn’t appear that those tax cuts worked any more than the stimulus funding into America’s infrastructure – although I might argue that spending money to keep people working so that those working people are spending money and paying taxes was and is a good thing. Now, the GOP (most, including our own Rehberg in the House, and most plus one lone Democrat in the Senate) wants to cut unemployment benefits (eliminate any income whatsoever) for what will be 2 million Americans, at least, by the time congress gets back from its 4th of July 10-day vacation. Those 2 million won’t have any money to spend – and yes – unemployment benefits are taxed. Didja know that? So what is it you think will work? Do you want more tax cuts (because – again – they worked soooooo well the first time)? What is your solution? What do you THINK is a solution? Any ideas? I’m listening. Seriously. Right on. Rehberg will introduce a bill. Call his office and ask him. I think I should be allowed to dream of the day when a politician, regardless of party, would do the right thing. Rehberg, btw, voted against the finance reform bill. I’m sure it’s because it didn’t go far enough/snark. until the wealthy elite (and our representatives in washington dc) feel it, it won’t get fixed…. Speaker Nancy can split atoms with her mind. i found this article illuminating about the strange attitude in washington dc about unemployment…..
Jon Tester is a socialist and he wants to see America fail. For that reason alone, he will never listen to you. He wants to see everything fail so that he and his socialist pals can figure prominently in the rebuild. Jon tester rips the heart out of Montanans’ future with his corrupt healthcare bill and then he parades around acting like he cares about small business and jobs. The only job this socialist creep cares about is his own. He sold out the American people and his Montana constituants when he railroaded his healthcare bill through. He got paid bigtime by rich doctors and insurance companies to close his eyes and vote. Don’t believe any of Jon Tester’s lies. You’re being hilarious here, I hope, Gary. Tester a socialist? Populist, maybe. Probably more centrist than Obama … and Obama ain’t no socialist, either. This is great parody you wrote or you’re one misinformed dude. the healthcare bill was written by the health insurance industry gary. senator baucus was ostensibly the main impetus behind it although i doubt if he could drive himself to work. he just rubber stamped it for his insurance lobby friends. senator tester voted for it because baucus jerked his choke collar. if tester is a socialist then romney is too. it is basically his plan. single payer insurance or at least some form of public financed choice would have been nice but instead we had this jammed down our throats by greedy capitalists. so cheer up gary. all that money you will have to pay extra to continue to have insurance thanks to the greedy monopoly your right wing buddies support will guarantee that health care will be even less affordable than before. socialism? i hardly think so. « it looks like up to me…..